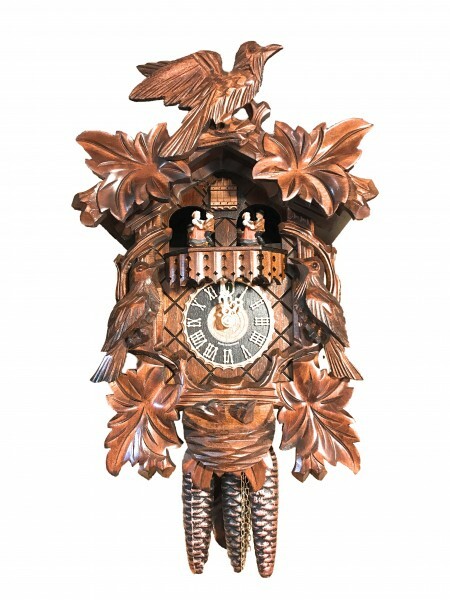 Product information "carved 3 bird nest with music 1 day cuckoo clock"
The Clock features three cuckoo birds and a birds nest, as well as a balcony with dancing figurines turning around. The clock plays two tunes, edelweiss and happy wanderer. Alternating every half hour. Related links to "carved 3 bird nest with music 1 day cuckoo clock"
Customer evaluation for "carved 3 bird nest with music 1 day cuckoo clock"